Nancy A. and Susan S.
Thank you gals...Glad you like the cookbooks! 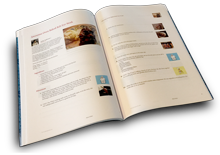 on the sales of cookbooks..I put together! Nancy , thank you for including my recipe in your wonderful cookbook. You have some great recipes included in this collection. Thanks Lynnda and Nancy for using my "Italian Arugula and potato Soup". The book is filled with really nice recipes. Great Job!